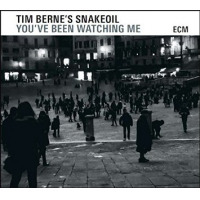 When Tim Berne released his ECM debut, Snakeoil in 2012, it quickly garnered some of the best reviews of the saxophonist/composer's career, ending up on a number of year-end best of lists. And why not? With a group already together for a couple years (as Los Totopos), Snakeoil represented a major step forward for Berne, both compositionally and in terms of band concept. All-acoustic, Snakeoil also benefited from label head/producer Manfred Eicher's attention to detail and transparency. Snakeoil, in addition to being a musical high watermark, was Berne's best-sounding release to date. Eicher wasn't present at the Shadow Man sessions, but Berne (successfully) aimed for the same clarity of sound, sharing production credit with longtime occasional collaborator and past ECM recording artist David Torn. Shadow Man capitalizes on significant road time clocked up as a result of Snakeoil's success, bringing the quartet even closer together, with an even greater shared sense of purpose and simpatico on a set that more successfully captures the group's live energy without losing any of the detail available in the studio. It's that very simpatico that provides Berne the freedom to do something largely out of character: cover a piece by another composer, in this case Paul Motian, whose title track to Psalm (ECM, 1982) is included as a tribute to the late drummer/composer who played on one of Berne's earliest recordings, Songs and Rituals in Real Time (Empire, 1982). Still, despite being the set's sparest, most spacious track, it still reflects Snakeoil's intrinsic angularity. A duo with Matt Mitchell, Berne may carry the melody, but it's the pianist's skewed chordal support that brings the piece into the Snakeoil universe. Co-written with Big Satan/Science Friction/Bloodcount co-conspirator Marc Ducret,"Static" is almost the polar opposite, Ches Smith's drumming a cacophony of texture and complex pulse and Mitchell both responsive and suggestive, as Berne and clarinetist Oscar Noriega work in tandem, at times reaching for similarly screeching highs but, equally, exploring the low end of their instruments with equal aplomb, the complexion changing significantly when Smith moves from kit to vibraphonean important new color for Snakeoil. Three relatively short pieces introduce a 78-minute set where, in a time when the vinyl resurgence is encouraging a return to 40-minute albums, there's not a wasted note or idea. The balance of the six-composition program consists of three pieces ranging in length from 16 to 23 minutes, and if it appears that Snakeoil is developing a modus operandi, it's all about marrying knotty, idiosyncratic compositional constructs with unfettered freedom, moving from near- silence to some of Snakeoil's most flat-out extreme playing on "OC/DC," 23 marvelous minutes of mathematical precision and joyous noise. 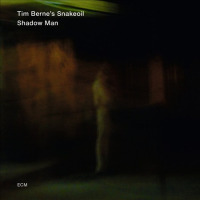 That Berne was able to released Shadow Man so quickly after Snakeoil is a hearty endorsement from a label that rarely does so. Recorded in January, 2013 and released three months before the year is over, Shadow Man is an even more impressive outing from a quartet that, in a career highlighted by strong associations, may well be Berne's most impressively cohesive group yet. Track Listing: Son of Not So Sure; Static; Psalm; OC/DC; Socket; Cornered (Duck). 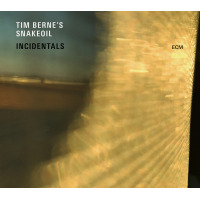 Personnel: Tim Berne: alto saxophone; Oscar Noriega: clarinet, bass clarinet; Matt Mitchell: piano, tack and Wurlitzer pianos; Ches Smith: drums, vibraphone, percussion.